I made it in to Bruges, Belgium today after a great week in Champagne. I drove the 300k or so after packing 20 bikes into a van that was likely only supposed to hold half as many. I am actually quite proud of myself since the van had a GPS, but it did not have a GPS power cord, rendering the former completely useless. Despite the fact that I am one of the more geographically challenged people on the planet, however, I used a map and highway signs to get here only an hour later than planned (OK, for the last 5k I turned on the my iPhone, but I figure that does not really count). 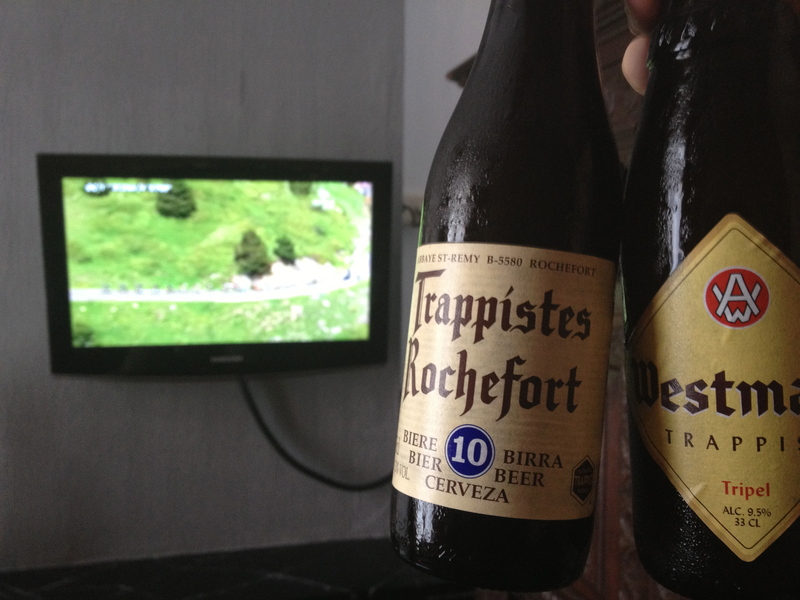 A couple of Tripels while watching the Tour. My first of likely many Gauffres in front of the Bourg. I second that. Please. Especially food pictures. I’ve never heard of Gauffres, but I want one! 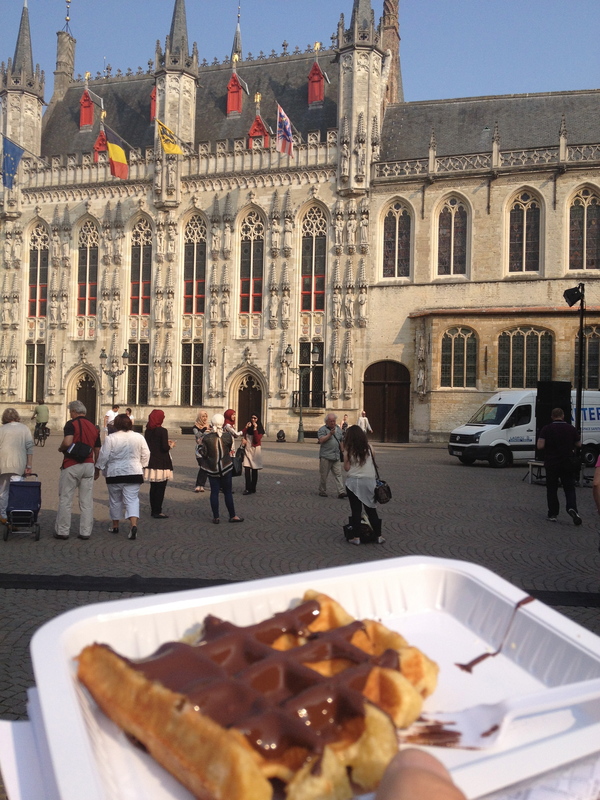 Gauffres are Belgian waffles–ridiculously good. Mine too. I also really like the Red/Brown Ales from West Flanders: Rodenbach (regular and Grand Cru), and my all time favorite the Dutchesse de Bourgogne. Why of course! As long as they are Belgian….